The Federal Executive Council on Wednesday approved the report of the National Tax Policy Implementation Committee on Tax Laws Reform. The Minister of Finance, Kemi Adeosun, disclosed this to State House correspondents after the council meeting presided over by President Muhammmadu Buhari. She recalled that the FEC had, last February, approved the revised National Tax Policy with a view to having a robust tax system that would promote investment and improve revenue for sustainable national development. She said the proposed tax laws reform was expected to achieve such fiscal objectives as removing obsolete, ambiguous and contradictory provisions in the laws as well as increasing government revenue. According to her, the reform is also expected to simplify the process of paying taxes and doing business, promote Micro, Small and Medium Enterprises (MSMEs) as well as protect most vulnerable persons in the society. 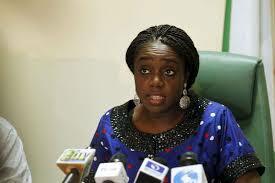 Adeosun said the National Tax Policy Implementation Committee had proposed two Executive Orders and five Amendment Bills. She listed the Orders as Value Added Tax Act (Modification) Order and Review of Goods Liable to Excise Duties and Applicable Rate Order. Personal Income Tax Act (Amendment) Bill and Industrial Development (Income Tax Relief) Act (Amendment) Bill. The minister listed other laws proposed for amendments as Stamp Duties (Amendment) Bill, 2017 and the Associated Gas Re-Injection Act.